ZANESVILLE, Ohio. – A local organization that provides many programs to the community including adult day services held its first Family Celebration Day. Today, The Carr Center hosted their first Family Celebration Day. The patient’s family could come visit, and see some of the Carr Center’s programs. 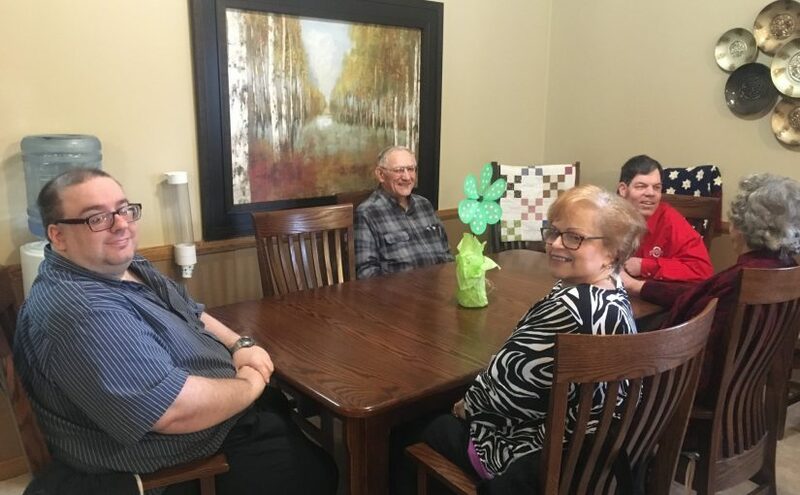 They also had an opportunity to meet the staff, network with other families, and sit down with their loved ones to enjoy a nice lunch. Director of Nursing, Martin Gamble came up with the idea for Family Celebration Day, and he said he is blessed to work at such a great place. “I never knew what the Adult Day Center was, until I was offered a position here. I came here and I instantly fell in love. I go home blessed everyday, I absolutely love the folks. They have brought something to me that I didn’t know was missing in my life. It’s so heart warming,” said Gamble. The Carr Center is also excited for their 33rd annual cake auction to take place April 25th and 26th. The event is held at the Colony Square Mall and is a huge fundraiser for the health care center. Executive Director, Kim Hosler said there will roughly be about 400 cakes with incentives at the event, and they will be auctioned off over the two days. Hosler said its so great to see the community to come together, and to help the Carr Center. “That is our annual fundraiser. It provides a lot of support to the car center and we really depend on that to stay in business and to meet the needs of our clients with our programs,” said Hosler. If you’re interested in registering a cake with an incentive to be auctioned off, visit www.carrcenter.com.